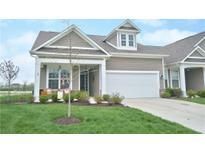 Below you can view all the homes for sale in the Villages Of Oak Manor subdivision located in Westfield Indiana. Listings in Villages Of Oak Manor are updated daily from data we receive from the Indianapolis multiple listing service. To learn more about any of these homes or to receive custom notifications when a new property is listed for sale in Villages Of Oak Manor, give us a call at 317-308-8198. 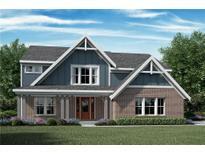 Located within the award-winning WWS school district next to miles of walking trails, community pool & exercise room. MLS#21635741. Keller Williams Indy Metro NE. Community features a pool and clubhouse. Don't miss this one! MLS#21635479. Highgarden Real Estate. Gas fireplace (push start), Balarge walk in laundry room with linen closet, stamped concrete back patio. Basement roughed for bath/bar MLS#21635387. Priority One Realty. Gorgeous new Blair Coastal Classic plan featuring all the quality and craftsmanship you've come to expect from Fischer Homes. MLS#21635155. HMS Real Estate, LLC. Award winning WWS schools, close to shopping, walking trails & highway access! MLS#21629219. Keller Williams Indy Metro NE. Community includes pool, fitness center & clubhouse. MLS#21629140. ERA Real Estate Links. Full basement and a 3 bay garage. MLS#21628436. HMS Real Estate, LLC. Top floor with 3 additional bedrooms and shares a centrally located hall bathroom. Basement and 2 bay garage. MLS#21625931. HMS Real Estate, LLC. Full finished basement with half bath and a 3 car garage. MLS#21622278. HMS Real Estate, LLC. Clubhouse,Workout center,Pool & Lawn/Landscape Svce MLS#21614813. Keller Williams Indy Metro NE.